Hey there my lovely people! How are you? Are you enjoying the beautiful winter days? 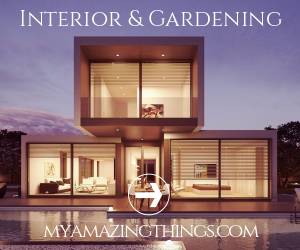 I’m always here to show you the latest interior trends and inspire you to follow them. 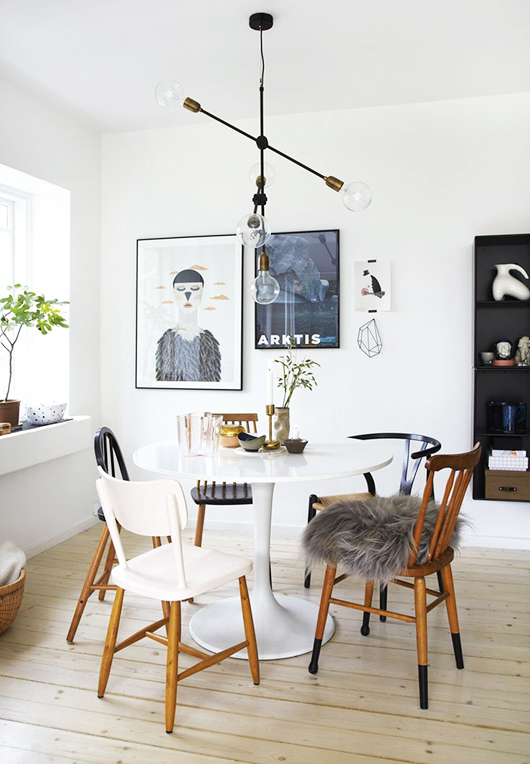 For today, I have a very interesting post that is called “Mismatched Chairs for More Relaxed Dining Room”. Are you excited? 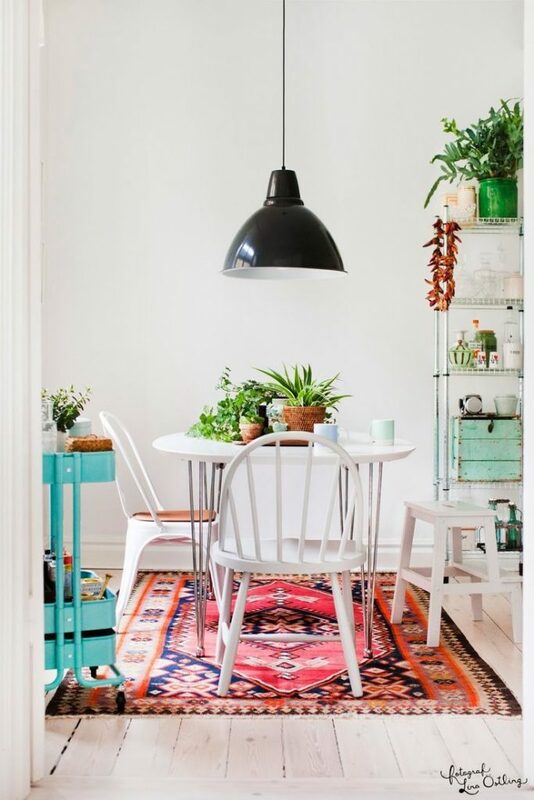 While the trend of mixing and matching chairs might seem easy, using mismatched chairs is not quite as simple as it sounds. You just can’t go and buy any chair design and expect to pull of the look, because not just any chair will work great. 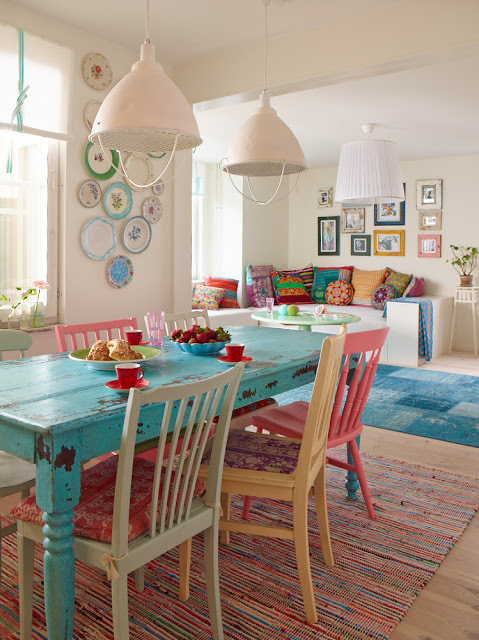 If you want properly to incorporate this trend in your dining room and create unique and fun look, then follow the following guidelines! Enjoy! You can find odd chairs at thrift stores, flea markets and garage sales. 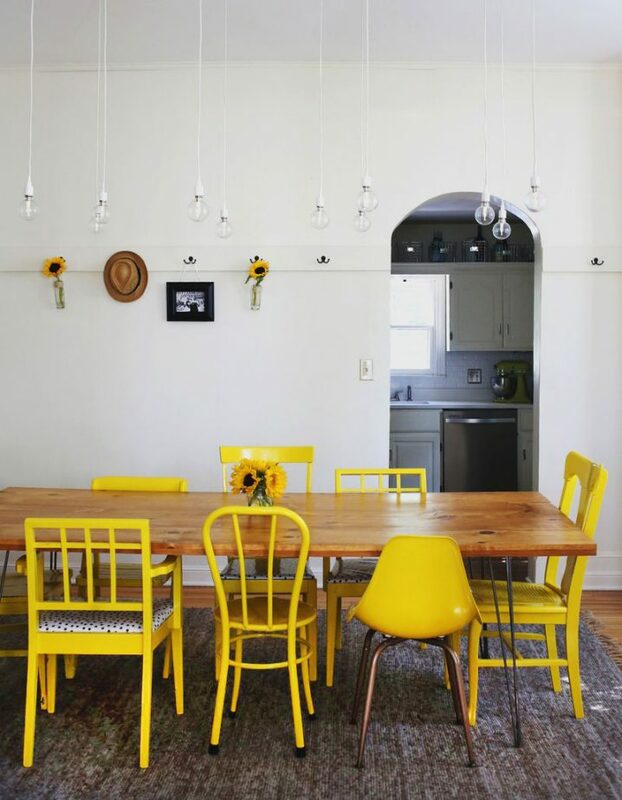 Take a look at your garage, you may already have some old chair that can be painted in some bright color and incorporated in your dining area. 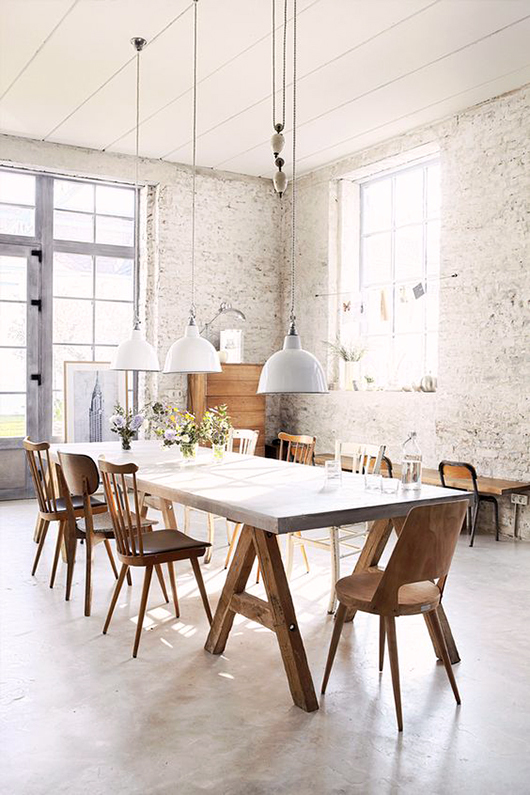 Mix different chair styles, such as Scandinavian design benches, stools or armchairs, industrial, foldable or vintage chairs. Pick chairs that have at least one thing in common, whether it is color, wood tone, shape, etc., so that you create an eclectic look without feeling chaotic. If you have different chairs, you can paint them the same shade. Make sure the mismatched chairs you have chosen for your room all have a similar scale. The exception to the scale rule applies to head chairs, which can be the same size or even bigger than the side chairs. If you go with a bench on one side, then consider using one type of chairs on the other so that there is a bit of uniformity from one side to the other. Another way to use chairs in the same style but upholstered in different fabrics. 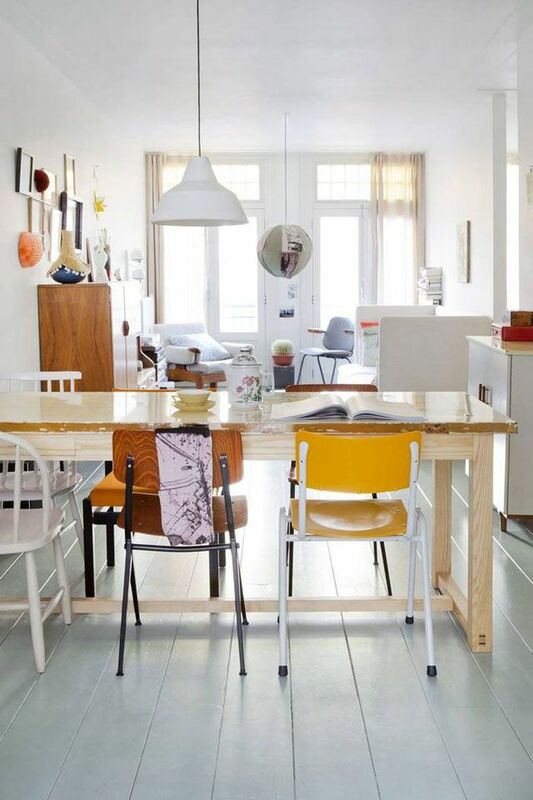 For more stunning look, try pairing opposites, whether it is light and heavy or vintage and modern. 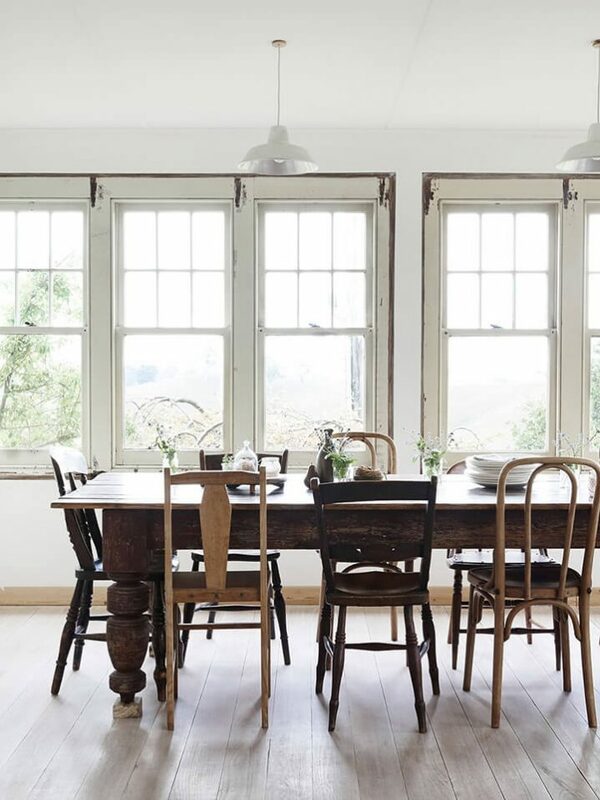 Ensure the chairs and benches you use in your space are the same heights. 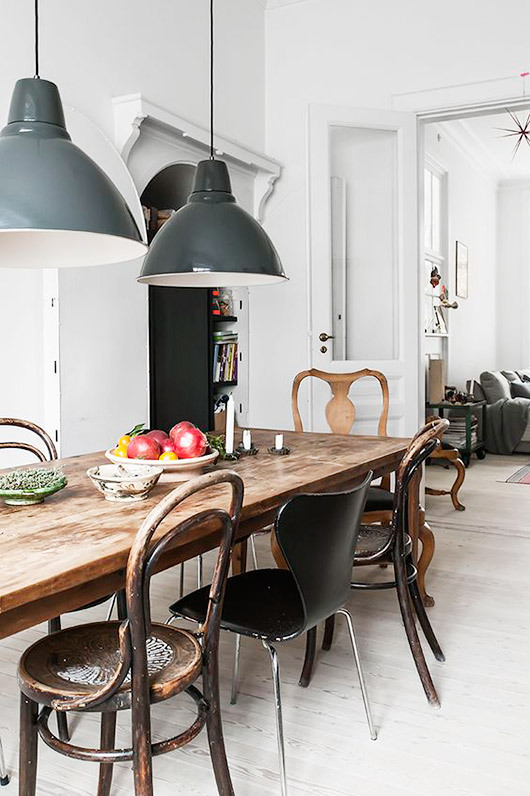 So, what do you think about these dining rooms with mismatched chairs my dear top dreamers? 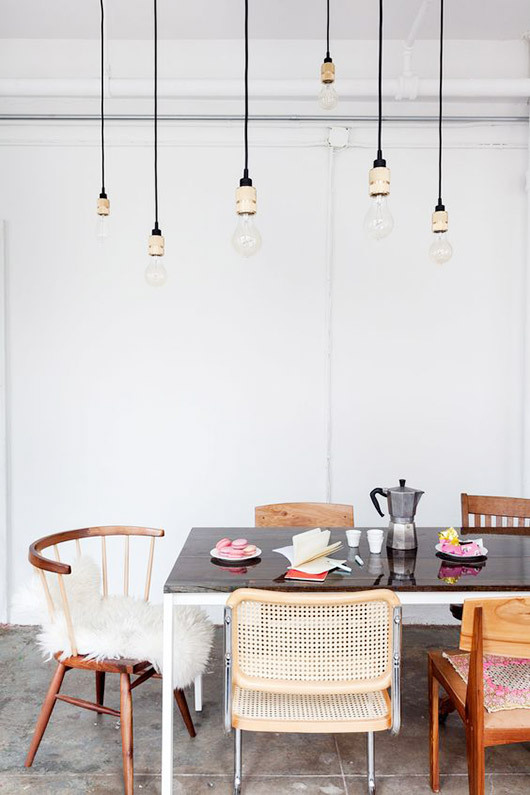 Do you find them interesting and would you dare to incorporate this type of chair designs in your space? I would love to know your opinion, so please share your comments with me! If you have some other suggestions or ideas, please share them too – I would love to see everything you have to show me! Thank you for reading! Enjoy in the rest of your day and don’t forget to stay up to date with the content of Top Dreamer!